Why Parliament Fails at its Core Function? 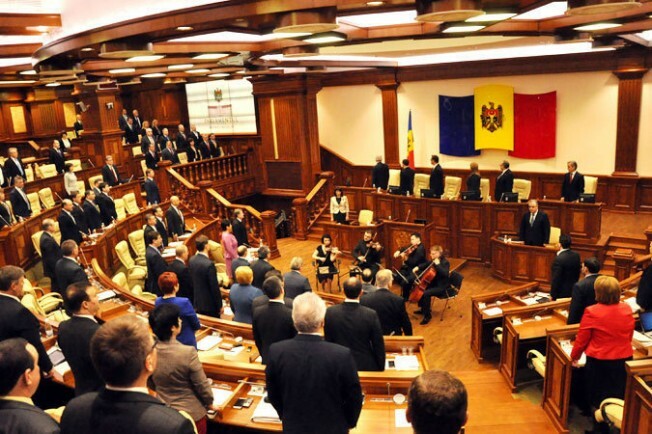 Moldova has a short history of democratic pluralism in the country’s legislative arena. However, citizens of Moldova were hoping that the country would learn fast and it did, but not necessarily by the book. Moldovan parliamentarism is a peculiar blend of western democratic norms and eastern drive to disregard those norms whenever they stay in the way. Moldovan politicians often lament, “We have great laws written down, if only they could be enforced.” This is where the shoe pinches. Not only could the laws be improved by Parliament, but indeed legislators fail most miserably at overseeing the enforcement of the very laws they adopt. But why? There are several explanations for that, but no justification. The first function of any Parliament is law-making. What would be the ingredients of an efficient legislative process? Professional and experienced lawmakers certainly help, but trained and motivated staffers are crucial. Strangely, it was only three years ago that each lawmaker was allowed to have an assistant. Earlier, only leadership enjoyed a support team, while all the others relied on Committee staffers as well as their own respective factions for assistance. It should come as no surprise that staffers are underpaid and many are motivated only by their allegiance to the party or to the respective lawmakers. While permanent Parliament staffers are only motivated by their civic duty and the prestige of their job. However, patriotism and pride cannot pay the bills. The legislative has no resources to grow the human capital of its staff. Luckily, international donors step up and invest in training many of the staffers. Yet, due to staff turnover this is unsustainable in the long run. Yet, personnel issues pale in comparison with the sheer disregard many lawmakers, particularly in the leadership, exhibit towards the legislative process. Parliament Rulebook and even the Constitution become disposable when heads of ruling party/ies agree on a certain course of action. Often bills are voted on the same day they are registered, without any scrutiny or debate. Even worse, on more than one occasion the ruling majority approved a bill without actually having enough votes in the plenary room. As electronic voting equipment rests unused, it is easy to count in as present one or two missing lawmakers, particularly when the press cannot count hands, because it watches a video feed in a room next door. If you think it cannot get worse from here, you are overly optimistic. On several occasions in the last few years Parliament was completely sidelined and important laws, including the state budget, were adopted without any vote in Parliament at all. It was not only possible, but also legal, according to the Constitutional Court, by citing article 106a of the Constitution – ‘Assumption of responsibility by the Government’. Normally, this provision is meant for extraordinary circumstances, but not wanting to deal with the opposition and civil society does not live up to that standard. The opposition can cry fault all they want – ‘the dogs may bark but the caravan moves on’. This is the logic of power and that might makes right. This is also viewed by some as legitimate payback for how the current ruling establishment was treated when they were in opposition. Thus, the cycle of recrimination is perpetuated. Therefore, sadly, Parliament fails to contribute to a culture of law-abiding citizenry. Instead, it is a crude reflection of society – little to learn from or aspire to. That is why it has the lowest approval rating (11.3%) among key national institutions. Since the topic is too wide and complex, I will cover the other key parliamentary functions: Elective, Oversight and Representation in a later series of posts. I realize I have not actually fully answered the question posed in the title, nor could I have possibly dreamed of answering it in one blog post. Rather, it is meant to start a discussion. This entry was posted in democracy, Parliament of Moldova and tagged democratic pluralism, Law-making function, Moldovan Parliament, Moldovan parliamentarism, opposition-government relations, Parliament of Moldova. Bookmark the permalink.